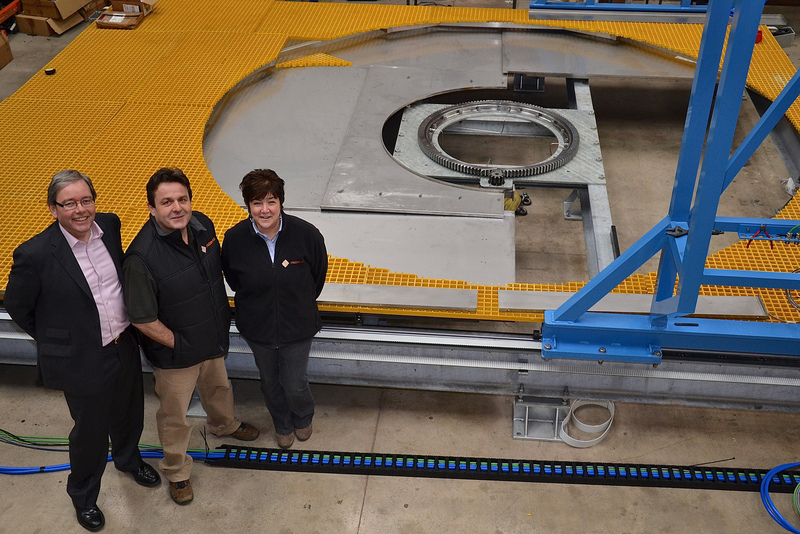 Herefordshire-based aerospace specialist Midas-NDT Systems was a finalist in the Manufacturing category of the 2013 ActionCOACH Business Excellence Awards, after business coach Nigel Scott helped the company to put in place strategies to manage soaring sales. For CEO James Boaden, a place in the final meant a trip to the luxury Cascais Mirage for the world’s premier small businesses competition. Midas makes ultrasound equipment, which finds microscopic faults in aeroplane components. The machines manufactured by Midas are used by the aerospace industry and some of the world’s leading airlines during the regular servicing of aircraft. Identification of a fault – effectively keeping an aircraft in the air and out of the hangars – can save airlines millions of dollars a year in repair and passenger compensation bills. “Clients will come to us and say ‘we’ve identified this issue: can you make us something to test for it?’,” explained James. Following a tricky couple of years when the worldwide recession hit the aerospace industry hard, Midas – one of only two firms in the UK and six or seven worldwide in its field – is now flying high. Last year the firm built 16 ultrasound machines, and turnover has doubled to £3m per annum. And it has created another dozen jobs, bringing its total workforce to 30.
Business coach Nigel said: “Any company that quickly doubles in size – both in terms of orders and staffing – is going to be put under stress. The work I’ve done with James and his management team has put strategies in place to help them cope with a vastly increased workload. James, who has worked in manufacturing for over 30 years, said: “This company was made up of individuals all mucking in and getting things done. Now we take a far more business-like approach; we’re more like a company than a collection of individuals.